12 new Mondopad models range from 55-inch to 86-inch and provide collaborative touchscreen solutions designed to meet the needs of any team or space. 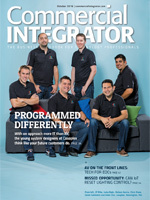 The Mondopad Core is part of the family of Mondopad products launched today by InFocus. 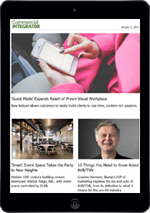 Today, InFocus unveiled a suite of 12 Mondopads “designed around the specific needs and budgets of various office environments and meeting spaces,” according to the company announcement. The new product family comes with three models—the basic Mondopad Core, the Mondopad Launch that allows users to choose their own collaboration tools, and the Mondopad Ultra [the original version with a swankier name] each available in 55-inch, 65-inch, 75-inch and 86-inch models. InFocus director of product marketing Glenn Jystad says “the market was hungry” for an expansion. Mondopad Ultra is the most full-featured offering in the new InFocus product line. 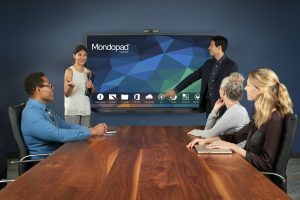 The Mondopad Ultra is best suited for the traditional executive board room, says Jystad, while the Launch is for more “down-and-dirty” applications, such as small huddle rooms where only a handful of people will be meeting. The Mondopad Core is a touchpanel that has an optional PC and includes all of the whiteboard and casting features of its more elaborate relatives in the Mondopad family. 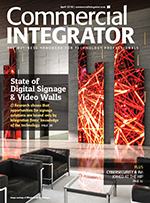 Abigail Rath, InFocus regional sales manager for the western states and manager of interactive displays sales and training, says Core includes five HDMI inputs, 4K resolution, a built-in whiteboard and bi-directional touch, among other features. The Launch is the starter version of the InFocus Mondopad line launched this week. 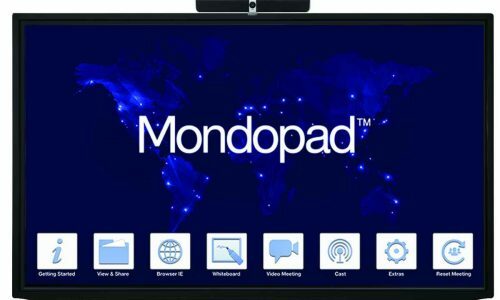 Mondopad Launch comes with a 4K camera on the top of the display, the ability to add third-party applications, 10-point touch, printing and email capabilities and a dialog box. 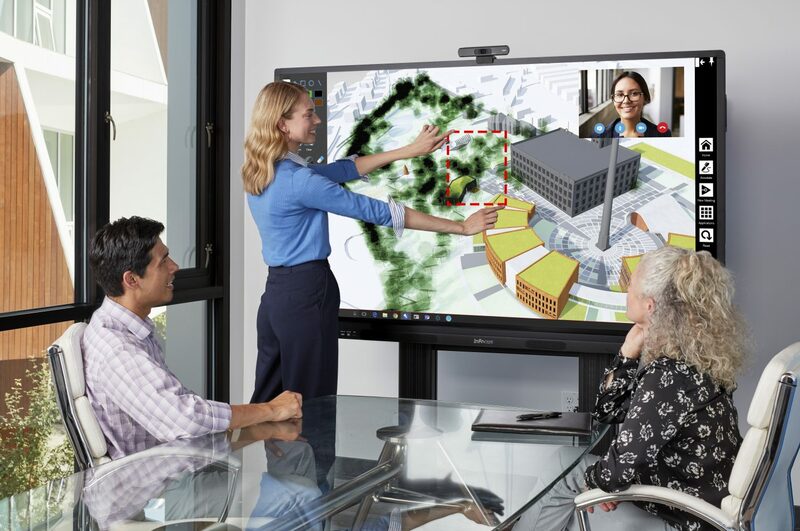 Mondopad Ultra allows users to view, edit and annotate documents; features auto-shape cleanup for those who draw shapes; connection to up to four devices at once; five types of calling possibilities; and Office 365 log-in from an app or using a QR code. Ultra and Core are shipping now. Launch will start shipping in November. InFocus is also launching the Collaboration That Fits contest.